The 16-year-old amateur has both a handle on the ever-advancing digital space and a genuine love for the game she has played since the age of nine. I stand beside her while she peppers the practice area’s flags with crisp pitch shots and it’s immediately apparent this bubbly talent is somebody who has the mettle to match the very best in women’s golf. 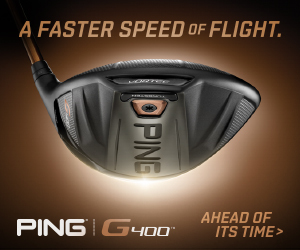 Her T2 finish at the Ladies Australian Masters in February was a clear highlight of her Australian summer, which also included a T9 at the Women’s New Zealand Open, T16 at the Women’s Victorian Open and a T28 at the LPGA-sanctioned Women’s Australian Open. No mean feat for a year 11 schoolgirl. Oh was born in the South Korean city of Busan before moving to Australia when she was eight. She first honed her craft at Long Island Country Club in Frankston, making giant strides to be a shock qualifier for the 2009 Women’s Australian Open at her home club, Metropolitan, at the age of 12. Despite it all, Oh remains wary of turning pro. “I wouldn’t be able to get the starts that I got this year if I was a pro,” Oh says to me as we stand casually beside Metro’s putting green. “I guess it’s a little bit different when it’s your job to earn money and win tournaments. The pressure level’s a bit different I guess. By her own admission, Oh often doesn’t feel pressure. But she says it’s been to her detriment. Holding a narrow lead over 7-time major winner Karrie Webb late on Sunday at the Ladies Australian Masters, nerves evaded her altogether. “I wasn’t nervous at all which is really weird. It was like my concentration level dropped too much. It was just all too loose. I should have been sharper. Hopefully when I’m a pro I’ll be able to win it. I learned a lot that week. The Australian summer gave Oh a glimpse of the lifestyle of a travelling professional golfer. The groundbreaking form of Kiwi sensation Lydia Ko allowed Oh to fly under the radar but those in the know can recognise her supreme talent. Webb is one of them. Oh hasn’t done so yet and she might not have to with another face-to-face encounter potentially just around the corner. She has her sights set on victory at June’s Ladies British Open Amateur Championship and an invitation to play both the US Women’s Open and Women’s British Open as an amateur. Major championship experience would almost certainly be the final feather in her cap as an amateur. Oh is intent on squeezing every drop out of her amateur career. Her success at the top level is complemented by an incredible year in 2012 that landed her the Australian Girls Amateur title and runner-up finishes at both the World Junior and Riversdale Cup. 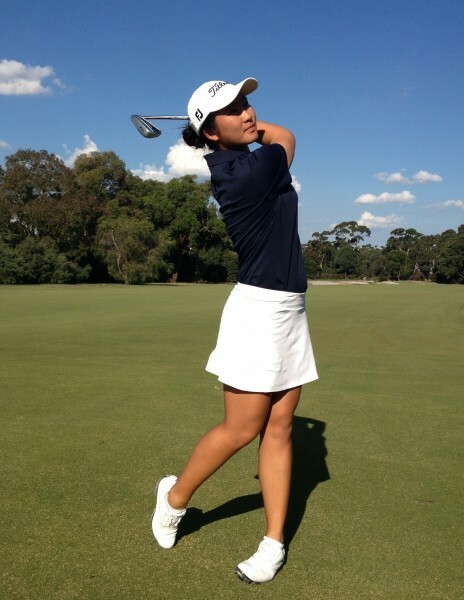 Away from competition, Oh is doing everything necessary to get the edge on her opponents – coached by Matt Cleverdon at Kingston Heath Golf Club and trained by South Yarra fitness guru Matt Chaplin. Oh credits Chaplin with not taking the fun out of exercise. With such a worldly background, it’s easy to forget Oh is just a regular teenager complete with resentment for homework. A student at McKinnon Secondary College in Melbourne’s south-eastern suburbs, Oh is kept on her toes between golf trips. “All the stuff’s mostly on the net. You just type it up, send it over and they check it for you. I just have to do all the assessment tasks when I get home.